It's time again for another Dude Time Doodle Blog Hop! All the new release images are out and you can grab them over at the DTD store. Check out all the wonderful creations by the DT to get a peak of the releases. This is a circular hop so no matter where you are, you're in the right place. Be sure and leave a little love at each stop since one of the DT members will be the Mystery Hostess of the hop and one lucky commenter will WIN. In case you get lost along the way, you can find a list of all the DT members either on my sidebar or at Dude Time Doodles. Meet little miss Gotta Pee (by Marlene) and you can find her right now in the DTD store. 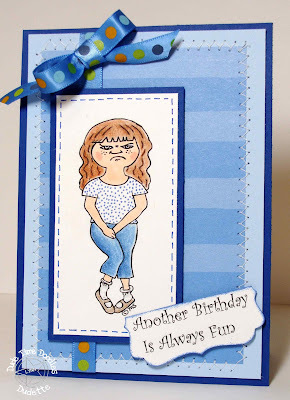 She's really "gotta go" bad and either doesn't look too happy about that - or maybe it's just because she has another birthday coming up! Thanks for stopping by...........and be sure and check out all the wonderful creations at Dude Time Doodles. And don't forget.....all the Halloween stamps in the store will be on sale at 50% off through September. I started to title this post "Fried Brain" but thought Hanging Around sounded a little better today. The reason it was going to be named Fried Brain is because I'm really thinking that's what's happened to my brain in all this heat! I've just lost all my motivation to do anything....I don't want to create, cook, clean,, ( well, cooking and cleaning probably don't have anything to do with the heat) or ANYTHING. If you don't live in Texas, you may have heard on the news about how hot and dry it is here this year. Let me tell 'ya - it's not pretty AT ALL! Yesterday we got up to 113 degrees! Maybe by October I'll get some mojo back. Until then I'll keep struggling along I guess. I recently won some blog candy from Rebekka's blog (A Diamond in the Rough) and was just overwhelmed at all the goodies that were in that box! 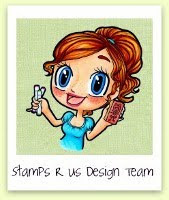 One of the many stamp sets she sent was from Gina K called Seeds of Kindness. 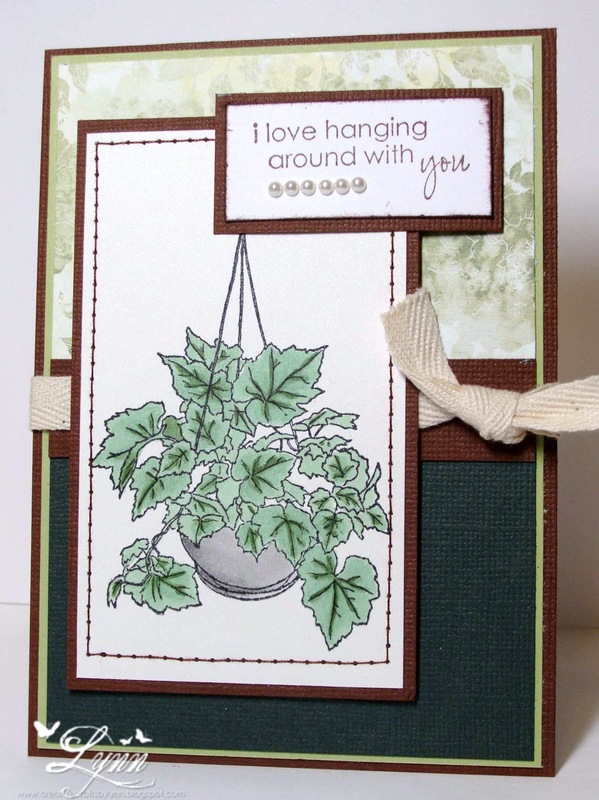 I'd been eying this hanging basket of ivy image from that set after seeing a card in my Copic Coloring Guide. So, due to having Fried Brain, decided to CASE that card. This is almost a total CASE too. I did sew around the main panel though. I've never done straight stitching on a card and believe me...it's a lot harder than it looks. I managed to get the seams somewhat straight but the top and bottom are at two different measurements. Anyway, thank you again Rebekka for all the lovely things you sent. Head over to Hambo Hoedown and check out the school themed primary color challenge that's going on right now. It's a progressive challenge and if you play along this week using a Hambo image then you receive a free image next week. I was the Queen of the Hambo Hoedown for this past week! Very exciting. Then of course hubby saw the badge with that cute little piggy on it and just had to make a snide comment about the pig and me being the queen.....you get the drift I'm sure. Not funny! LOL! This week we received an image of a pencil. 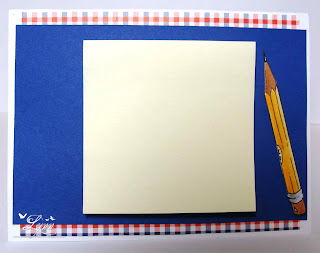 I kept thinking of all sorts of projects I could do with this - an altered pencil box or can, a notebook, card, etc.....I finally combined a couple of things - a card type front with a Post It note on the inside to "jot it down" - and kept it VERY clean and simple looking. I thought this would be great for someone in school to keep on their desk to write notes on. The inside is pretty boring to say the least. I may have to re-do that and jazz it up a bit. I printed out the pencil image several times in different sizes, colored them in Copics and Prisma pencils, and then cut them out. 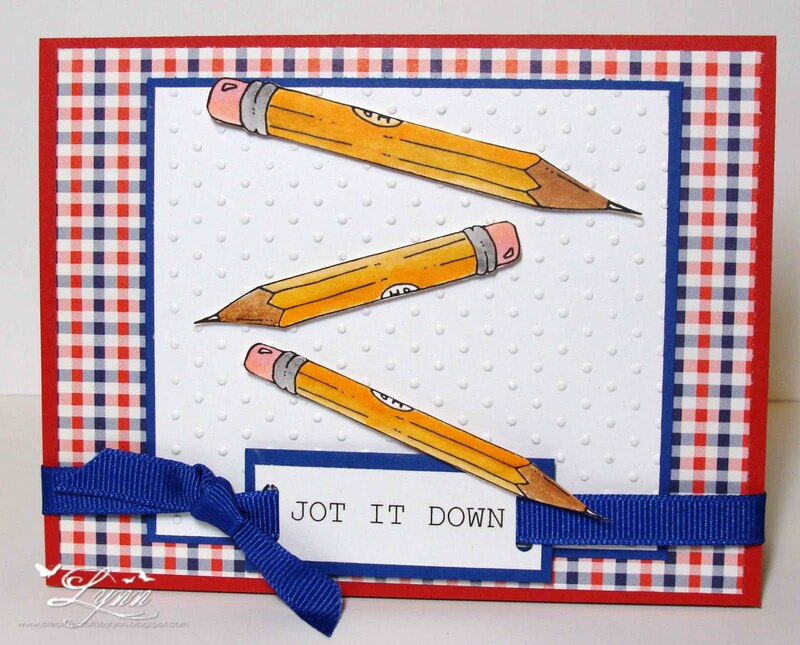 "Jot it Down" is computer generated. The card stock is from SU and the DP is from Paper Patch. Anyway, I think it will be cute and useful to sit on a desk. 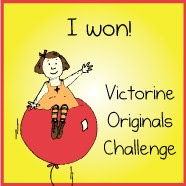 I'll enter this in a couple of "back to school" challenges: Party Time Tuesdays and Creative Inspirations Challenge. 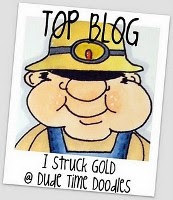 The day has finally arrived for the first annual Dudeville Holla Scavenger Crawl over at Dude Time Doodles blog . 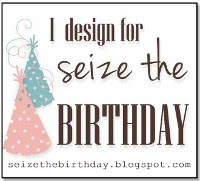 We're celebrating DTD's very FIRST Birthday....and some very exciting things are happening. It's a circle crawl, so no matter where you are you're in the right place. You may want to start over at the Dude Time Doodles blog though so you can pick up your list of all the items on the Scavenger Crawl. Make a note of all the items and then visit EACH DT member and our very SPECIAL GUESTS blogs and find the items that are on the list. 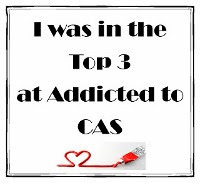 After you've collected ALL the answers, e-mail that to the following address: cmm5569@yahoo.com. You could be the winner of a whopping $20.00 gift certificate to the DTD store!!! You have two weeks (until September 6th) to e-mail your answers in. 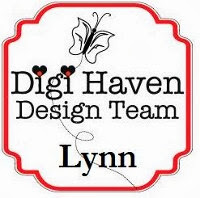 Oh, and by the way....some of the design team members and our special guests are offering some blog candy on their individual blogs as well so be sure and leave a little love at each stop along the crawl. Also note that beginning September 1st, all the Halloween images will go on sale in the DTD store for 50% off! 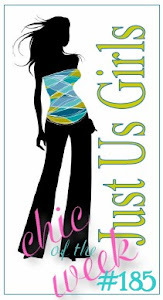 If you came from Michelle's blog you're on the right track and your next stop is DAWN. This is Ahoy Matey Matt. 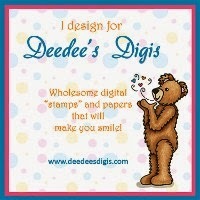 He can be found (with a whole bunch more cute images and sentiments) in the DTD store. And this is to wish Dude Time Doodles a very HAPPY FIRST BIRTHDAY! I know for Boni to create such cute images she couldn't have been hitting the rum too much this year - but if you want to celebrate now, Boni, go ahead and have a little shot. 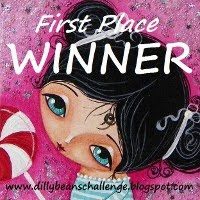 Thanks for stopping by.........and be sure and check out the DTD blog and get in on the Scavenger Crawl. 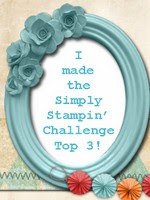 It's time for another challenge over at Stamps R Us Challenges! You have two weeks to submit your entry. And now get this.....the theme is ANYTHING GOES! We just can't get any easier than that - right! 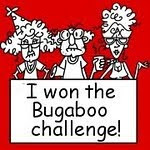 And, not only is it an easy challenge with a theme like that but the prize is a "doozie" (I think I just showed my age with that word... LOL)! 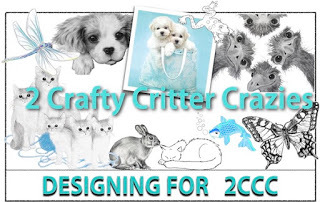 The winner will receive a Color Me Creative Copic Class of their choice!!! So, come on over to Stamps R Us Challenges and show us your creation. I've used In Wilderness (SU) for my card today. I'm still working on the distressing bit and you'll see that I probably need more practice! 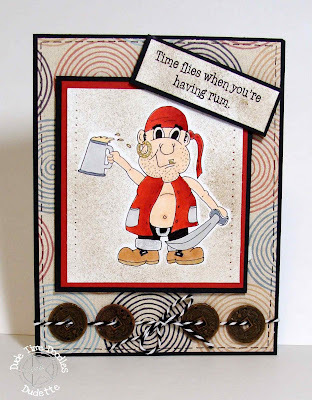 I think this will make a great card for a guy though as it's got that "manly" feel to it. 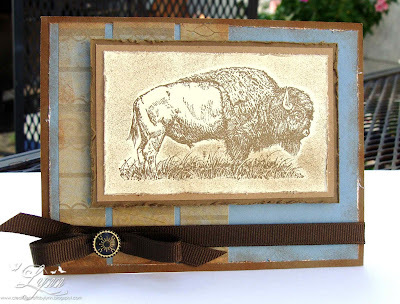 I used some DP from CTMH and Soft Suede, Chocolate Chip, and Very Vanilla card stock from SU. The brad in the center of the bow is also from SU. Thanks for stopping by................and don't forget - The Dude Time Doodles Anniversary Scavenger Crawl will be coming up on Wednesday!! So much fun going on. 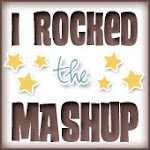 The Texas Two Step, Schotish, and Cotton Eyed Joe.....that's what I was doing last Saturday night and having a ball! Yep, hubby and I went dancing. The Texas Two Step, Schotish, and Cotton Eyed Joe are dances we do here in Texas - a little County/Western doe-see-doe-ing! We used to go dancing all the time but hadn't been in a while - we'd hit every bar, dive, and dance hall around...you name it, and we've probably been there. Been to some pretty raunchy places, but oh, how fun! So last Saturday, I got all decked out in my jeans, boots, etc..and away we went. Of course we were all snug in our bed by midnight - and pretty sore the next day, but we did have fun. 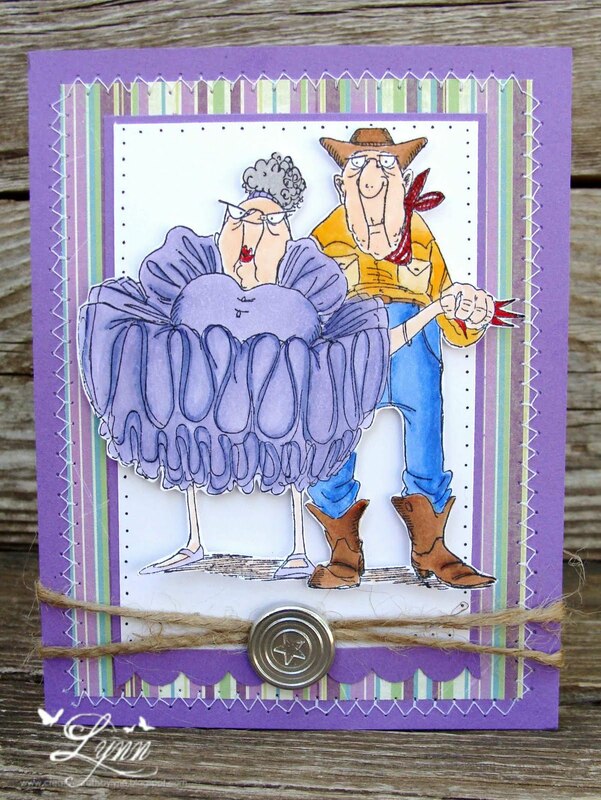 This cute little couple (from Art Impressions) looks like they are ready for a little Texas Two-Stepping! I really don't think he looks very excited about it though and she looks like maybe she just had too much BBQ before the dance started. 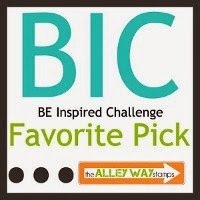 I'll enter this in the challenge at Art Impression (anything goes). Hope this puts a smile on your face - and have a great weekend. Before I get to my card today I wanted to show you the picture of this pretty Oriole that keeps showing up on our hummingbird feeder. I've tried for several weeks to get a photograph of him and was finally able to do it. We actually have an Oriole feeder but he prefers the hummingbird feeder instead. It's really not a very good photo but was the best I could do. He just doesn't want to cooperate a lot. My card for today is using the geranium image from the Hambo Hoedown progressive challenge. 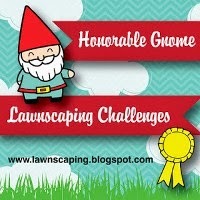 Head over there and check out their challenge as it's so much fun. This week, other than having to use a Hambo image, it must also have scoring. I don't own any type of scoring tool so after printing the image, coloring it with Copics, and cutting it down to size, I then scored around it by placing it in my paper cutter, did a lot of measuring, and used a stylus in the groove. The sentiment and punches are from SU and I added the two pearls on the ends. The bow was completed with my Bow-Easy. 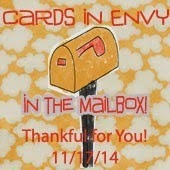 Thanks for stopping by.........oh, and guess what tomorrow is??? Get ready for another FUNNY FRIDAY! 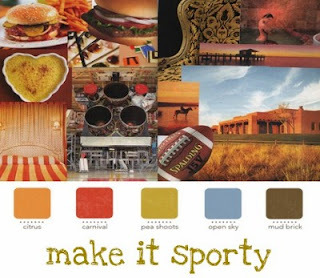 But anyway, this is the Inspiration Challenge over at Dude Time Doodles and just look at those fun colors! Head over there today and enter your project. Just make sure it has a Sporty Theme and is for a Dude too! 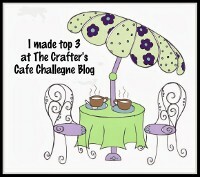 Who knows - you could be named the Top Blog or one of the Top Three. This is Football Phil and a football image that you can find in Boni's store. I made the football out of some textured paper and made it LARGE. Phil was printed, colored, and then cut out to go on top of the football. The sentiment is from TLC. 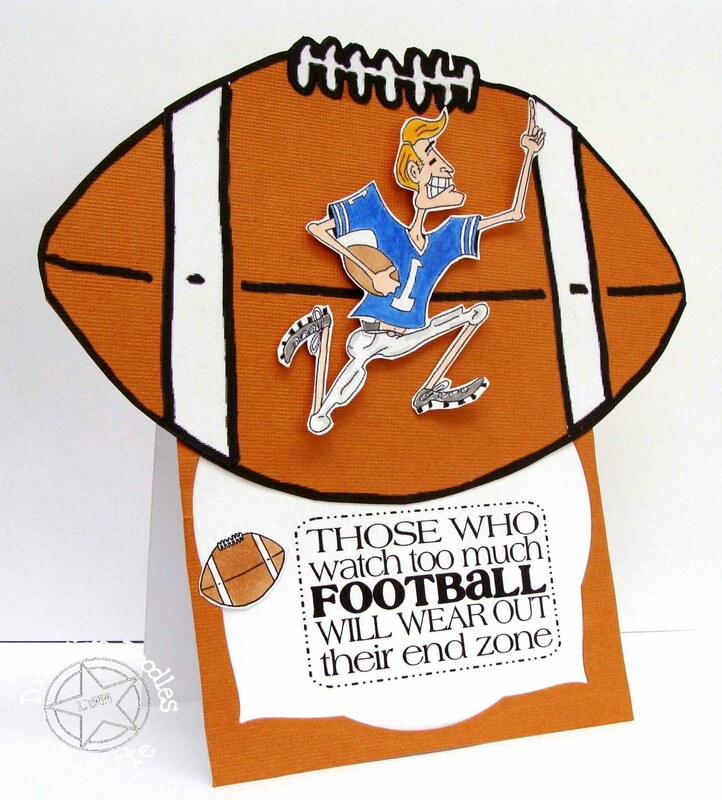 This will be a "table topper" and will sit on a table by the TV until January so every time hubby watches one of the games, he'll see that he's just wearing out his END ZONE! It may not match the decor of the house - but he'll get the hint anyway! 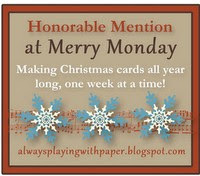 I'll enter this in the challenges at Cards for Men (anything goes), and Sentimental Sundays (shaped cards). Thanks for stopping by and be sure and head over to Dude Time Doodles and enter your creation. I'm back from my "computer break" and will be around to visit everyone's blog as soon as possible! I would say I enjoyed that "break", but the fact of the matter is that it's not fun being without a computer like that. Pretty sad, I know! 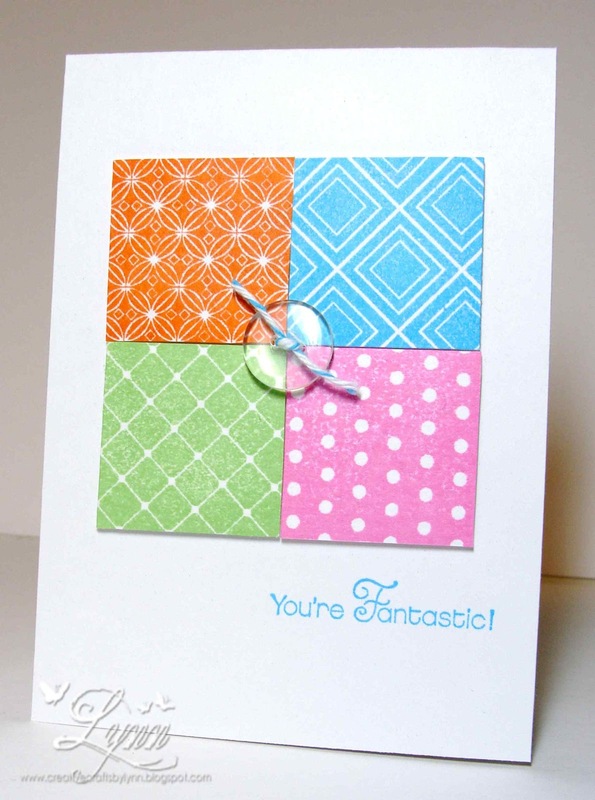 This is a very CAS card using some Mint Motiff stamps. 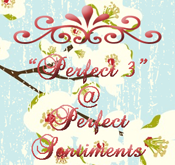 The sentiment is from Perfect Words from SU. 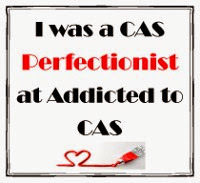 Not much else I can say about this except sometimes I just NEED one of those CAS cards. Thanks for stopping by...........and, like I said, will be by your blog as soon as possible! 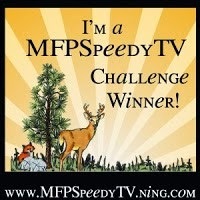 This is for the fun progressive challenge at Hambo Hoedown! 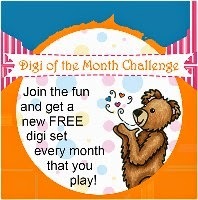 Check out the challenge site, get the rules, and start playing as they really have some cute images. How about this cute little Hedge Hog! Seems he's really having a bad hair day but he so adorable holding that little flower (with a pearl in the center) he doesn't care if it's a bad day or not! I did a little research on hedgies before coloring this little guy (gal) and found that they actually come be several different colors. There's even an albino hedgie! I decided to do mine in gray and used the color scheme of pink and gray (even though the gray looks black in the photo). 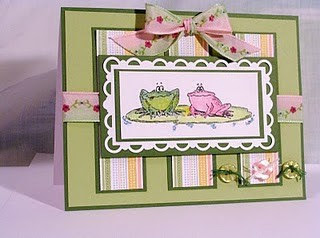 It's a fun image and will make a cute card for someone special. 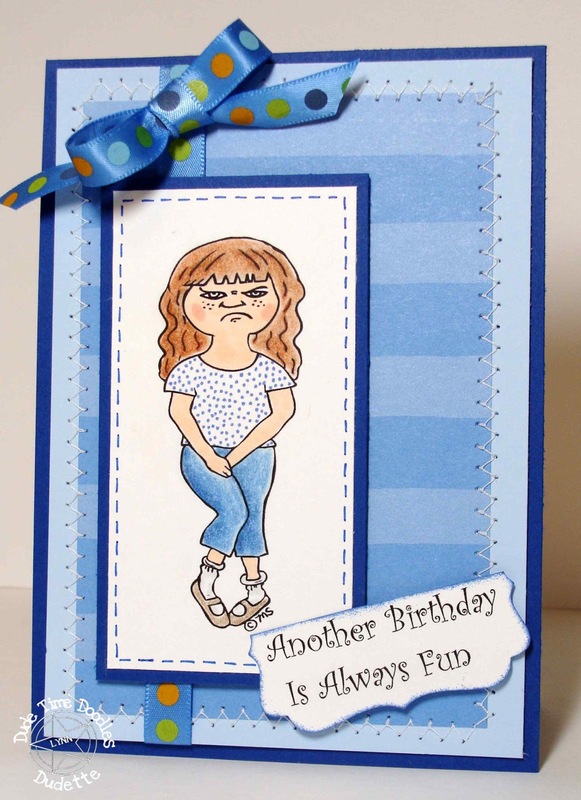 I won't be having a Friday Funny tomorrow (sigh.....) and in fact won't be having a card at all I'm afraid. I'll be computer-less for a couple of days but will see everyone on Monday. Hope you have a great weekend. Dude Time Doodles is offering this cute little Gavin Ghost as a FREEBIE!!! Head on over there and grab this guy, create a card or project, submit your entry, and you may be the next guest designer for Dude Time Doodles!!! Not spooky at all.....just a lot of FUN! Gavin is such a cute ghost and I know you'll enjoy using him. Halloween will be here before you know it and he's PERFECT for the occasion. The design I used is somewhat of a CASE from two different cards - one that I'd seen in a craft magazine and one from Teri Anderson's blog. A clean and simple card but I like how it turned out. 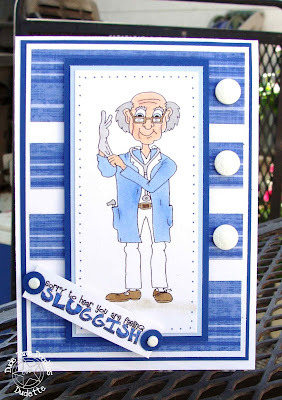 Thanks for stopping by.......and be sure and go to Dude Time Doodles for the freebie - and the chance to be the next Guest Designer! The challenge beginning today (and running for the next two weeks) at Stamps R Us Challenges is themed "ENCORE PRESENTATIONS". 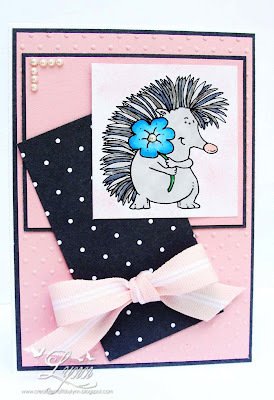 A VERY easy challenge - simply go to a card that you're previously posted on your blog or in a gallery and enter it in the challenge. It MUST be one that has been posted before and not a new card. 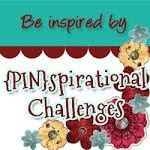 Also, some very exciting news about this challenge......The winner will be named the GUEST DESIGNER for our next challenge! So hop on over to Stamps R Us Challenges and enter a previously posted card! 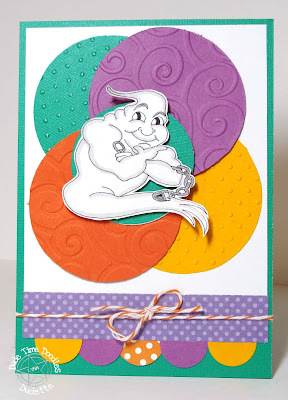 This is a card I did in January of last year and some of you may have already seen it before. It was titled "You Drank What!" The inside of the card said "See what happens when you drink too much Pepto-Bismol. Get Well Soon." 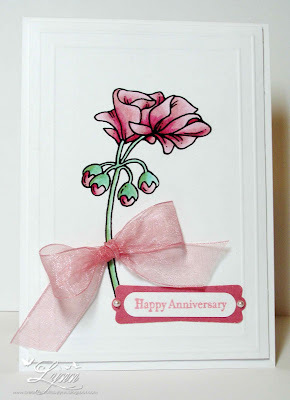 It was a fun little card and I used Prismacolor pencils to color the Penny Black image. The frame was done using a SU corner and straight punch and I STILL don't know how I got it to come out right! I wouldn't say it was one of my favorite cards but I did like it. 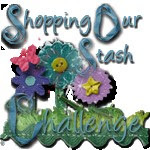 So, let's see what you can show for you Encore Presentation at Stamps R Us Challenges and who knows...you may be the very first Guest Designer for our challenge blog! 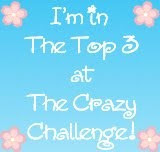 And, you may also win on of the Top Three - so come on over and play! I've seen so many playing at Hambo Hoedown's progressive challenge and decided to jump on the band wagon and play along this week - and hopefully in the following weeks as well. 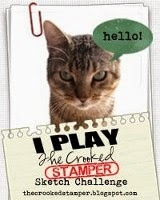 Since this is the first time I've played along I'm using one of the freebies from Hambo. 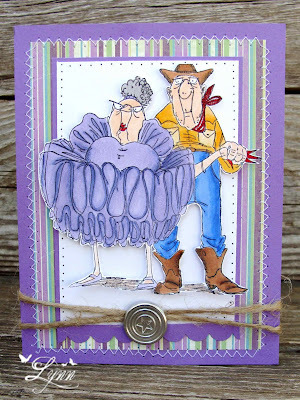 After linking your card and e-mailing it to the Hoedown's DT, you get an image for the next challenge. The theme of the challenge this week is Tic Tac Toe. 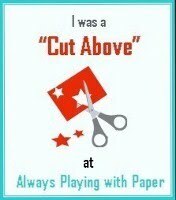 The three "squares" I selected were Ribbon, Diecut, and Button. 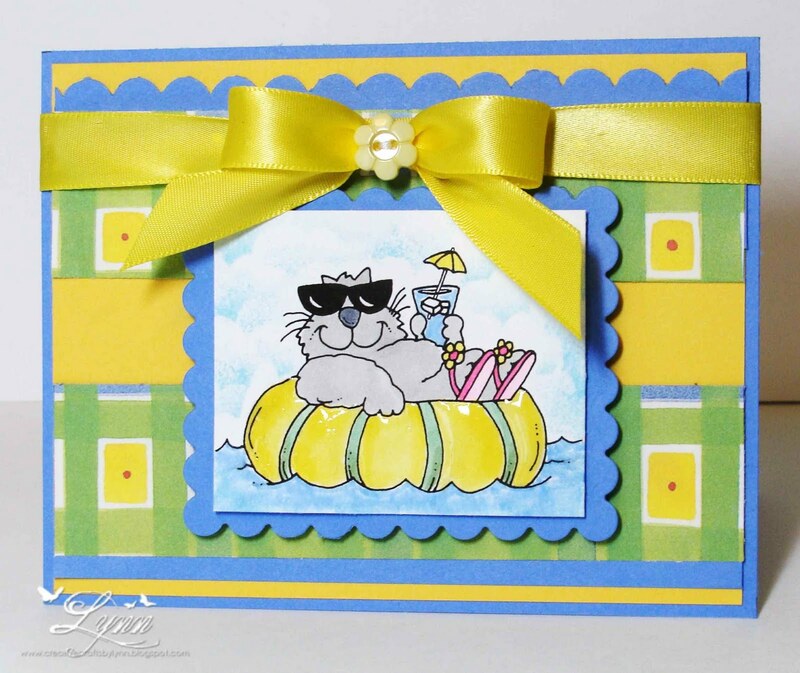 More yellow....But this very "cool cat" just looked so cute in his yellow inner-tube so I had to use yellow again on this card. I used a rectangle nestie to make the frame around Mr. Cool and added some Liquid Glass to the inner-tube to give it a little shine. The bow was made with my Bow Easy and then a small button placed in the center. 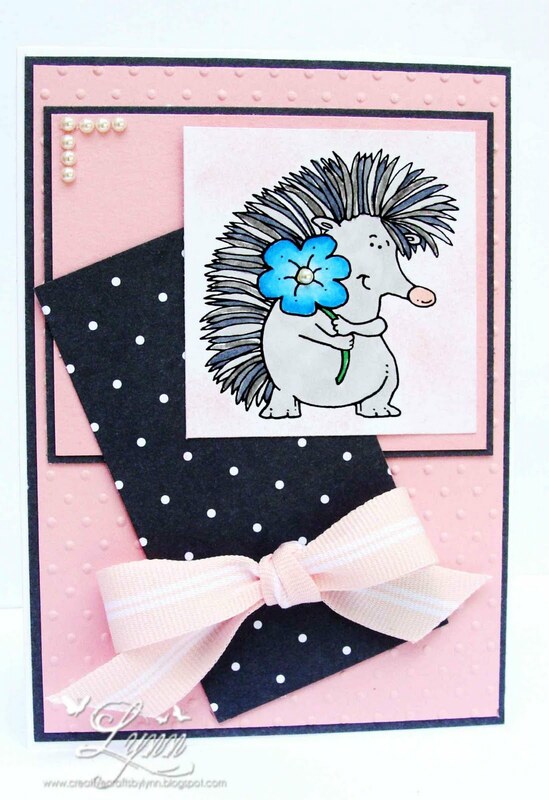 A very simple card but think it turned out cute with this darling little image. 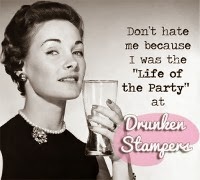 I really didn't intend for today to be another "Funny Friday", but here it is anyway! Don't you just LOVE the expression on her face after he says "Are you ready for your little surprise?"!!! Hubby actually thought up the sentiment (I think he must be dreaming!! LOL). Hope this puts a smile on your face - and have a wonderful weekend! It's time for another Sketch Challenge over at Dude Time Doodles. 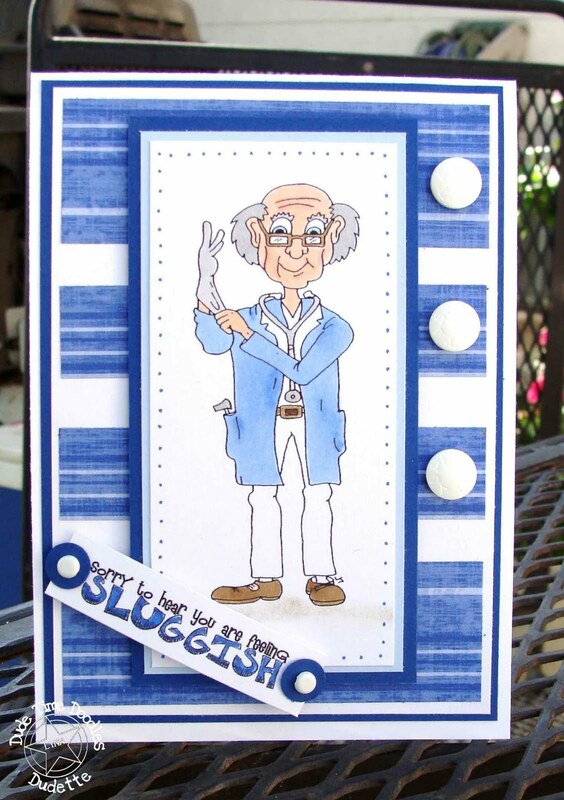 Please join us using this wonderful sketch this week - flip it, twist it, work it, and enter! 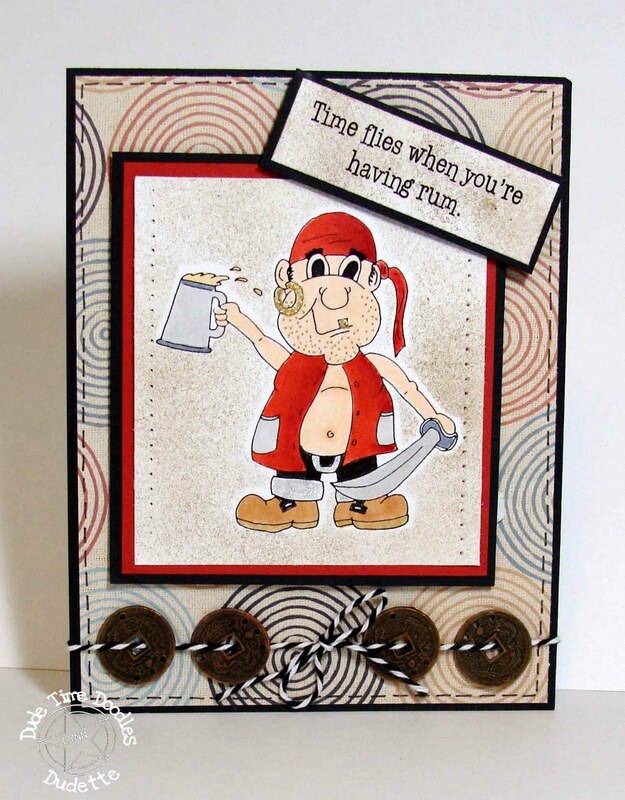 You're not required to use a Bonibleaux Design image but it must be a masculine themed card. 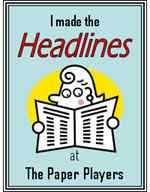 Head on over to Dude Time Doodles and then enter for a chance to win one of Boni's fabulous images! Meet Dr. StrangeGlove (that you can find in Boni's store) ! Just ask any guy and he's going to tell you that when you see the doc putting on the old glove and coming close, you just WANT TO RUN! The sentiment from TLC says "Sorry to hear you are feeling Sluggish". With this little doc getting ready for the unpleasant exam that may be coming and the sentiment, I thought placing three aspirin on the side was appropriate (although I'm really thinking they'd tell you to just take TWO aspirin, not three). Thanks for stopping by............and be sure and check out the Sketch Challenge at Dude Time Doodles. Thought I'd start your week off with a little CAS Halloween card. 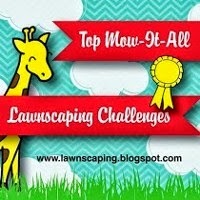 Since it seems like everyone is attempting to "beat the heat" maybe this will help it along some! The image is from Stampabilities and sentiment from Studio G. What more can I say.....except I've made several of these and on all except this one, I embossed the black cat with embossing powder.....makes it shine a little. 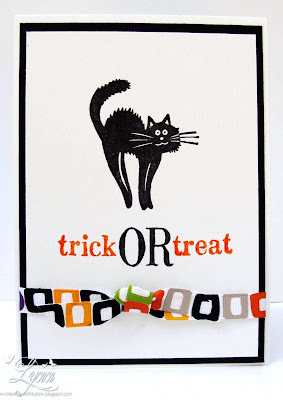 I know you've probably heard me say it before....but I just DO NOT like Halloween - for whatever reason - but, I do have to make quite a few cards for the grandchildren, nieces, and nephews so I try to keep them simple most of the time.